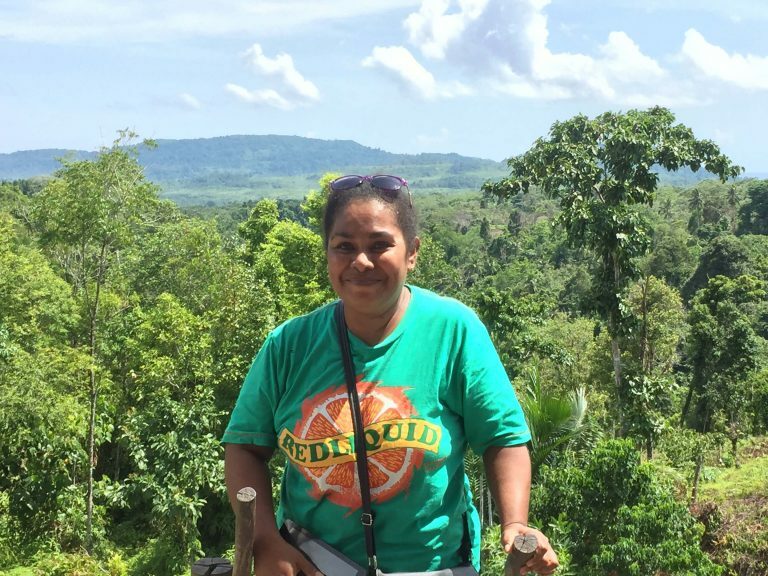 Yos retells her journey of faith as a ten year old, to being a Sunday School teacher, joining a prayer team, and being a part of the Papuan Malay Bible translation team. Read about her passion for crafting and sharing Bible stories. I was born into a Christian family and became a believer at the age of ten during a church Easter activity. But only recently did I really feel like I am a child of God – part of God’s own family. After I got married, I moved to my husband’s town and started attending his church. I had only been there for three months when they asked me to take on the role of coordinating their brand new Sunday School program! I was so confused about what I should do. At that time, I rarely, well, never, if I’m honest, read the Bible. I would take my Bible to church on Sundays and then bring it home again and leave it on the table until the following Sunday. What stories would I teach these Sunday School kids? It was so difficult for me. I had never taught children before. But I was given a set of books which were very helpful. I didn’t understand them but studied them until I did understand them! I followed those books to the letter. None of what I taught was from God – it was all from those books! Since I prayed that prayer, I have faced many challenges. Mostly from my own family. I have constantly been belittled by my mother because I never got an education beyond high school. She is often angry with me and tells me I’m stupid. She says things like, ‘Why did you have five kids when you didn’t even finish university? How do you plan to support them? Go and find a real job!’ When she says things like that, I feel like that can’t be my own mother talking to me like that. I feel like my life has become a burden for my mother and the rest of the family. I made the decision to take a step back from my parents. I told my husband, ‘Whether we have food or go hungry, whether we have money or are broke, we can survive without my parents’. The next defining moment came in June 2017. My sister, who has been part of the Papuan Malay Bible translation team since 2013, invited me to join the OneStory (oral Bible storytelling) workshop. 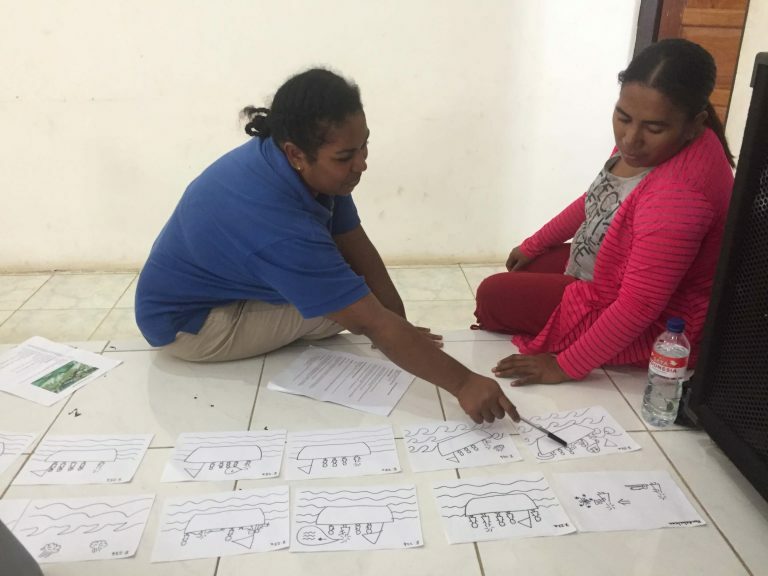 The Papuan Malay team was trying out one of their new stories on a small group of Papuan Malay speakers who hadn’t heard the story before. It just so happened that the team was looking for another member to join them as a storyteller. The next day, my sister asked me if I would be interested in joining. My initial reaction was, God, this is no different to serving in my church. I won’t get anything out of it. And surely my mother will fire those same critical words as always at me: ‘You need to work so you can make lots of money to support your children!’ That’s what my mother wants. But God had something different in mind. The first time my sister offered me a place on the team, I wasn’t really interested. The second time, I said ‘Yes’, but only with my mouth! My heart wasn’t in it. The third time she offered, I decided to give it a go. I still remember, it was June 2017. I joined the OneStory team as a storyteller. I had no idea how significant that would end up being. The first story I helped craft was ‘God’s promise to Abraham’. I related to that story on a very personal level. I realised that, like me, Abraham wasn’t well-educated, but because of his faith, God’s promise was fulfilled in his life. I wanted to be like Abraham. The most important thing is to be faithful to God, and surely God will fulfil his promises in my life. After crafting that story, I immediately understood God’s plan for my life. I was also very blessed by the second story I was involved in – ‘Isaiah’s prophecy about Jesus’. I was blessed and inspired by the words, ‘The Spirit of God is upon me to go and tell the good news to those who are doing it rough’. I went home after that and studied the Book of Isaiah, beginning to end. I was impressed with how God used this man of simple speech, Isaiah, in a powerful way for his glory. I wanted to be like Isaiah, and Jeremiah, and Moses! If God used them to reach their own nations, he could use me too. That has now become a deep longing within me. What I have experienced, God’s love that I have experienced, which has changed my life one hundred per cent, I want other people to experience too. My people with dark skin and curly hair; that they would experience what I have. In addition to my OneStory work, I also feel a burden to help distribute the materials our team has produced. So on the way home from the office, I’ll often stop by different places to tell people about our products or deliver books to those who have requested them. Recently I went with my mother-in-law to an island on Lake Sentani to tell them about the Papuan Malay materials because the people living on the lake don’t know about our translation yet and they need to know! The first time we went, we took a boat over in the afternoon but the pastor wasn’t there so we had to take a boat right back. We went back the following week, at 7 pm this time. After taking a boat from the mainland, we walked half an hour to the pastor’s house. They were so happy to see our books. They’d never seen anything like it before. I really want these people to be able to read the Papuan Malay Scripture books. They are in our everyday language so anyone is able to read them and get a blessing from these books. I never feel bored or tired with ministry, because my desire is so big. As long as God gives me the opportunity to serve, I will serve him. We can’t wait until Jesus returns and then feel regret looking back. The important thing is we open these books to them and explain them to them, they read them, and after that, it’s up to God to work in them. So I never tire of serving God. People might say Papua is small but it’s big! I heard the other day that there are 319 people groups in Papua right now. Have they all had a chance to see the Papuan Malay Scripture materials? My hope is that all 319 people groups will be won to Christ. When I joined the Papuan Malay OneStory team, I felt like I was entering God’s house. I felt peace, joy, a very different feeling to anything I’d known before. I feel as though God has put me in the palm of his hand and covered me. I have received many blessings from being on this team. I feel as though I’m part of a family. When I come to the office, I feel joy and peace when I meet with my friends there. What I thought was never possible, in my family, in Sunday School, in my church, I am now seeing happen. I didn’t ask for it, but God did it anyway. I enjoy every aspect of my work on the OneStory team. Typing and working on the computer are challenging for me because I only learned how to type when I joined the team. But I like a challenge. I like pushing myself to be able to do new things that I find hard. Learning how to use a computer, even though it was daunting, really motivated me to work. I believe that God helps me when I don’t know how to do something. When I first joined the team, I faced opposition from my husband. He didn’t agree with my decision to join the team. That was very difficult for me because I had a burden to be part of this ministry. But after the Kartidaya member care team visited us at a workshop and prayed for me, things got much better. God opened his thinking and he understood why I wanted to be involved. In fact, now, if I don’t have any taxi money to get to the office, my husband will search for money to buy a little petrol and drive me on his motorbike to the office. I’m so thankful for that. Early on, the pastor’s wife and others at my church also didn’t understand what I was doing. But when they saw the books our team has produced, they were impressed by the result of what we were doing. These stories that we are crafting, and the books that other members of the Papuan Malay team are creating, are very helpful in my ministry at church, especially in my role as a Sunday School teacher. When I use the Papuan Malay stories to teach Sunday School, the kids understand the stories much better than if they hear them in Indonesian. And not just kids. I believe that translating the Bible into Papuan Malay is so important for all of us Papuans. Not everybody understands Indonesian, or understands it well enough. I myself understand the Bible in Papuan Malay much better. Please pray that I would continue to be enthusiastic and faithful to God. Pray for my hope that all the people groups in Papua would be won to Christ. Either through our books but also through radio, television, or any other way, that they would be won to Christ and become members of God’s kingdom. Interested in finding out more about oral Bible storytelling? Learn how to craft, tell, teach and study stories to share with those around you. 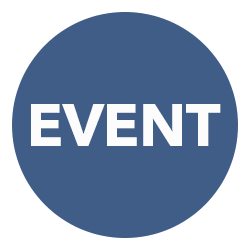 Come along to a Story the Bible (Telling God’s story) event.